Editor's View: Is threat of Brexit fuelling West End’s record figures? Editor’s View: Is threat of Brexit fuelling West End’s record figures? Another year of record West End box office, the highest attendances ever recorded and more than three quarters of all available seats filled. This is something to be celebrated. But what has driven it? Primarily some superb work. Ongoing hits like Harry Potter and the Cursed Child and Dreamgirls enjoyed their first full years in the West End, supplemented by excellent new arrivals like Angels in America at the National, The Ferryman, Hamlet with Andrew Scott, 42nd Street and – at the end of the year – Hamilton and the Palladium panto. These and other shows have helped attract record numbers of people to London’s biggest theatres. Record takings have been given a boost by an increase in ticket price paid – up £1.71 per ticket. 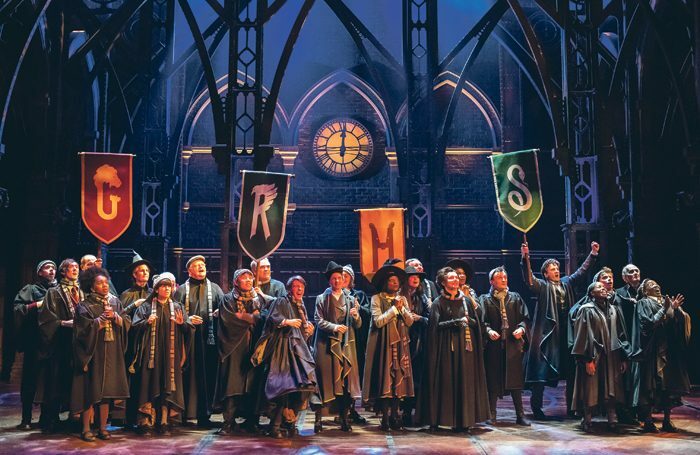 Audiences are paying more to go to the theatre than ever before and, from the jump in both attendances and increased capacity, it would appear that these increased prices are not yet putting off ticket buyers. This could be linked to another key driving force behind the figures: tourists. The 2017 figures might have been significantly boosted by an increase in overseas visitors. The spectre of Brexit may loom over the performing arts world, but the fall in the value in the pound since the EU referendum seems to have had one positive side effect: more leisure tourists spending more money in London. For them, prices have not gone up, but down. While we don’t know precisely how many tourists went to the theatre, Visit Britain reported a record 39.9 million visits to the UK in 2017, with visits from North America (a key market for West End theatre) up 14% on 2016. Producers may point out that these big numbers do not necessarily translate into increased profits but, after 14 consecutive years of record box office, it would prove hard to sustain this argument in the face of increased pay demands from unions – especially as the cost of living in London continues to rise. Finally, one interesting observation: ticket sales at SOLT venues generated £117.5 million in VAT in 2017. That is enough to cover all the grant-in-aid funding from Arts Council England for every London-based theatre, dance venue, opera house and arts centre combined in 2018. In fact, it’s only about £1 million shy of also covering the funding of London’s orchestras. One might be tempted to conclude that theatre in London is now – at the very least – tax-neutral.